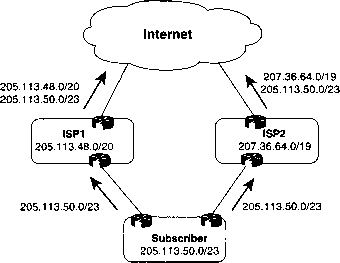 IPv6 calls for a much larger address structure so that the convention of all organizations using unique groupings (networks) of IP addresses still would be reasonable—the numbers of IPv6-style networks would reach into the trillions and beyond. That solution is still technically viable and possibly one day will be used. However, many people believe that the short-term solutions have made IPv4 viable for a long time, and they see no reason to upgrade. Others think that IPv6 is inevitable. Cisco simply supports both options, so whatever happens, it will still be able to sell products. IPv6 uses a 128-bit IP address written in hexadecimal notation, with colons between each quartet of symbols. How many addresses can you possibly have with a 128-bit number? The only answer that matters in real life is "more than you can possibly ever need." The number is around 3.4 x 1038—yes, that's a 39-digit decimal number. It's huge! You could have a million IP addresses per every person who ever has lived and still not have run out. So, a migration to IPv6 certainly looks like it solves the IP address scalability problem—the only question is whether the other short-term solutions, such as NAT and CIDR, have solved IPv4's problems so well that no one wants to migrate to IPv6.